Live By Night tells a broad, sweeping tale that stretches from 1926 to 1935, and from Boston to Tampa, Florida and on to Cuba. It includes a number of historical figures as well as fictional characters and follows the story that Lehane began several years ago in The Given Day. At the center of the story is Joe Coughlin, the youngest son of Boston police captain, Thomas Coughlin. The Coughlin home was not a happy one, at least not for young Joe, who early on amused himself by doping out the combinations to the household safes where his father squirreled away the payoffs and other money that accrued to a corrupt police official at the height of Prohibition. As a boy, Joe reacted by joining a gang that committed minor crimes, including the arson-for-hire of competing newsstands. Then one night, in the midst of robbing a poker game that is allegedly protected by one of the city's most important mobsters, Joe has the bad luck to fall in love at first sight with the woman who just happens to be the girlfriend of the aforementioned mobster. The affair will launch young Joe on the journey of his lifetime, or at least the next nine years of it, which would seem like a lifetime to any normal person. It would be unfair to say any more about the plot, but this is a captivating story, filled with memorable characters. 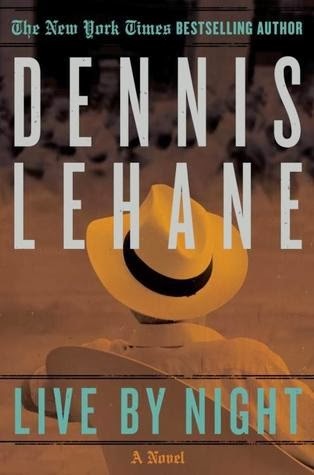 Lehane captures brilliantly the spirit of the age and the settings are so well rendered that at times the reader feels as though he or she is actually circulating through Boston, Tampa or Cuba along with the characters. This is a book that should appeal to a wide range of readers and not just to fans of crime fiction. It also makes a wonderful companion piece to White Shadow, a very good book by Ace Atkins that is set in the underworld of Tampa in the 1950s and which centers on Charlie Wall, the man who was then the city's mob boss.